Monday night's 82-67 win over Troy helped the men's basketball team clinch at least a share of the Sun Belt Conference regular-season title. The Mavs, who are 23-6 overall and 13-3 in conference, have two road games remaining in the regular season, at ULM on Thursday, March 2, in Monroe, La., and at Louisiana on Saturday, March 4, in Lafayette, La. 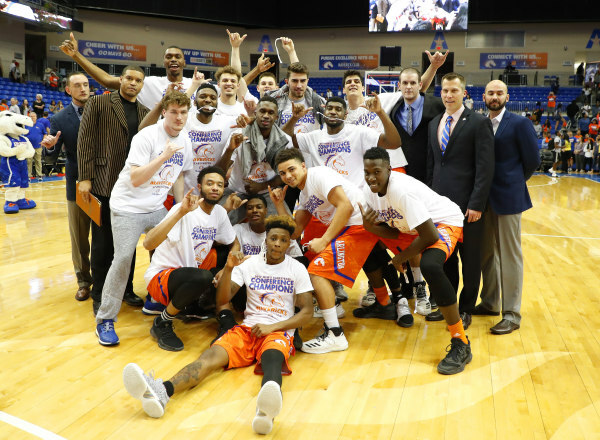 Monday's win makes UTA the top seed in the annual Sun Belt Conference Men's Basketball Championship Tournament, scheduled for Wednesday-Sunday, March 8-12, in New Orleans. UTA would receive a first round bye and would begin tournament play on Friday, March 10. Tickets for the SBC tournament games are available at utatickets.com. The Mavericks qualify for a postseason berth in the National Invitational Tournament as the league's regular season champion in the event UTA does not earn a spot in the NCAA Championships. Head coach Scott Cross earned his 200th career victory Monday, making him the winningest coach in program history. LEARN MORE. Give a big shout-out to the UTA men's track and field team for winning the Sun Belt Conference Indoor Championships last week. The women's team finished as the conference's runner-up. UTA's victory was the 10th men's conference indoor title in school history and the sixth under coach John Sauerhage. In October the men's cross country team won its fourth conference title in five years. The women's team finished as the runner-up to Texas State. The women had a pair of conference individual champions with freshmen Helen Falda and Astrid Rosvall winning the pole vault and the 800 meters, respectively. The outdoor track and field season starts Friday-Saturday, March 17-18, with the TCU Invitational in Fort Worth and UTA's Bobby Lane Invitational Saturday, March 25, at Maverick Stadium. UTA hosts the Sun Belt Outdoor Track and Field Championships Friday-Sunday, May 12-14. LEARN MORE. 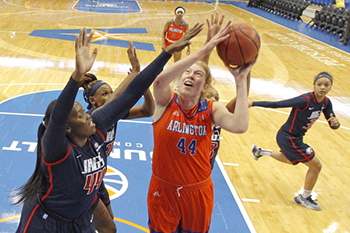 The UTA women's basketball team celebrated a win for its last home game with a 53-41 victory over South Alabama Saturday at College Park Center. The Lady Mavs are in second place in the Sun Belt Conference standings with a record of 19-7 overall and 12-4 in conference play. The women are on the road for the last two games of the year, playing ULM at 5:15 p.m. Thursday, March 2, in Monroe, La., and Louisiana at 5 p.m. Saturday, March 4, in Lafayette, La. The SBC Women's Basketball Championship is Wednesday-Sunday, March 8-12 in New Orleans. Tickets are available at utatickets.com. LEARN MORE. 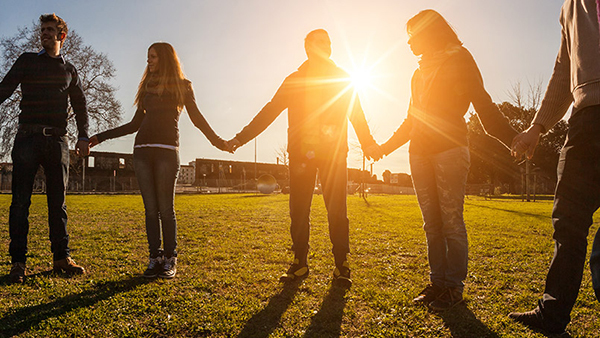 UTA puts a high priority on the well-being of our students, faculty, and staff. We’re working to create a safe, secure, and supportive campus with resources like counseling programs, health services, and more. 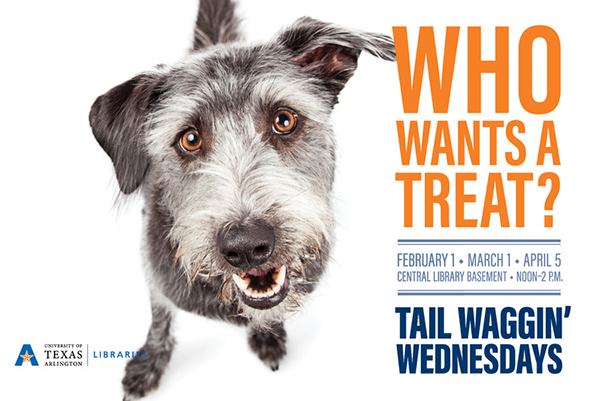 Learn more at uta.edu/communitythatcares. 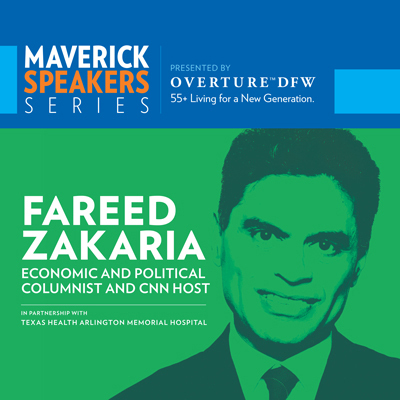 Economic and political columnist Fareed Zakaria wraps up the Maverick Speakers Series season with "The Politics and Culture of the Global Economy" 7:30 p.m. Tuesday, March 7, at College Park Center. VIP packages include a private dinner and photograph with the speaker. Preferred seating has front-of-the-line access to the venue. The lecture is free for students, faculty, and staff and costs $5 for community members. Submit questions for Zakaria to maverickcommunications@uta.edu or through social media via #maverickspeakers. The UTA Food Pantry is coordinated by the Follet Student Leadership Center and provides non-perishable food to UTA students in need. Bring donations 10 a.m.-2 p.m. Wednesday, March 1, to the Health Fair in the Bluebonnet Ballroom of the E.H. Hereford University Center. Donations also are accepted Monday-Friday in Suite 180 of the University Center. The next distribution date is Thursday, March 9. 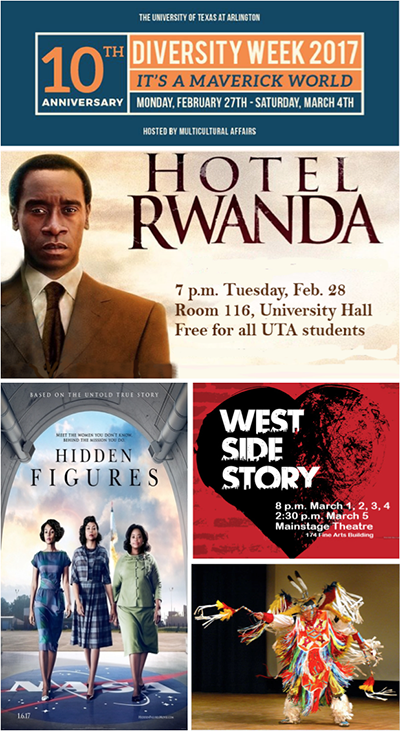 TrailBlazer welcomes subscriptions from non-students of UTA as well.